Do you guys have any big weekend plans? We will be having a quiet Saturday (hubbie works that day anyway) but are going out Sunday!! I'm super excited for Sunday- we're doing a "supper club" with another married couple and the theme is "Indian Food"! <-- Little nervous, I'm not going to lie. Not nervous about eating it (love love love Indian) but definitely nervous about making an Indian dessert! I researched a bit...didn't really like what I found, so I am opting to make an Indian inspired dessert! Wish me luck. I'm feeling some writer's block today! UGH. Kind of the worst thing when there's a super neat blog you want to post, huh? Come on brain, work with me! Seriously, all I can think right now is "yellow...toy story...this is cool.....gotta do some laundry.....chicken for dinner? ...yay...Katie's...3...ok write something..."
Had a custom order last week for a little girl's upcoming 3rd birthday. The mom loved our toy story plaque, but wanted something a teensie bit different. Cool by me! Instead of rounded edges on the backgrounds, she wanted a more sharp cornered looking plaque, and the words were to be switched up a little. Truth: her idea was way better than ours. She totally made this one look awesome. We started off by creating some handmade stencils for each and every letter (and punctuation mark). Then, once those were finished, we created some matching background stencils. Each letter, number, punctuation mark, and background was cut out (by hand) using gum paste in the appropriate colors. Then we carefully glued all the pieces together with the sturdiest of hands (not really...I was a shaky mess that day...too much caffeine) and left to dry firm. Also to accompany her order were some of our edible clouds :) I pretty much loved how this order turned out. A total upgrade to our older toy story inspired name plaque! 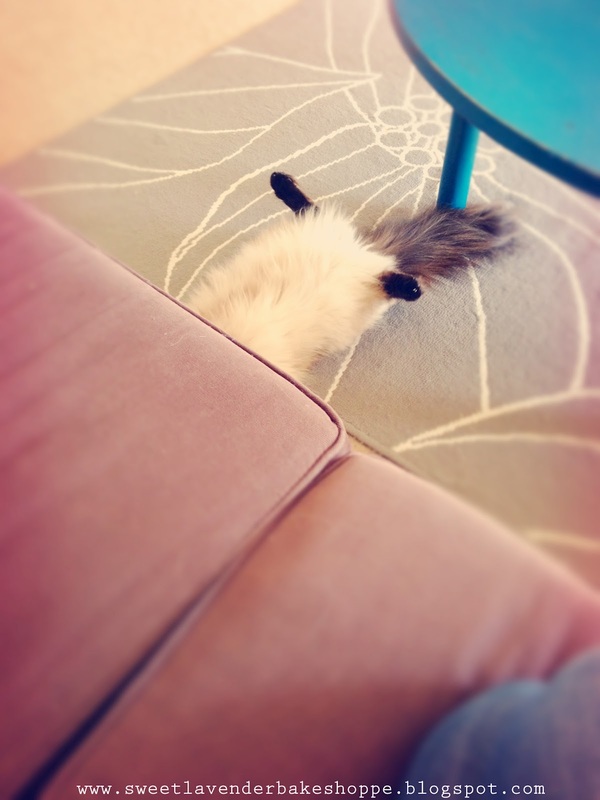 She is, by far, the strangest cat I've known. So many wonderfully unique things about her- I could go on and on all day- but this one is at the top of my list. 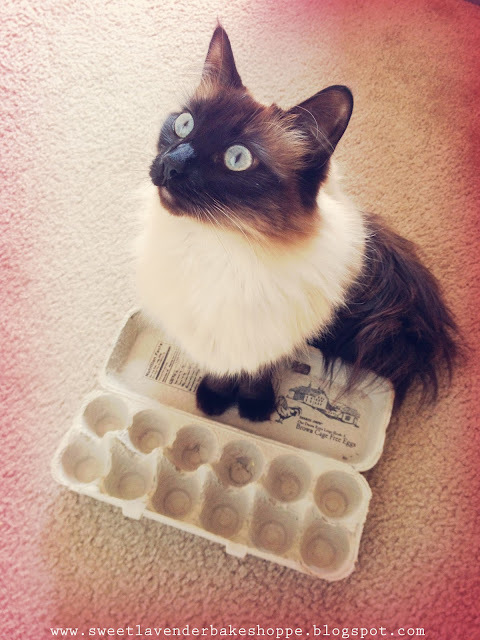 She loves egg cartons. Like, loves.. She runs to my side whenever I come home from grocery shopping and hopes for one of these to drop to her level. If eggs were indeed bought that day she hops on top, rubs all over it...and ends the time with either sitting so proudly atop or laying sprawled out across. Haha. This picture might be my favorite one of her ever. One afternoon when I was sitting on the couch, crocheting, I noticed out of the corner of my eye a lot of white with little specks of black. Looking to my left, this is what was happening. Good thing my iPhone is always in reach. What a gorgeous kitty! And I love the decorations!! You are so creative! I am so jealous! 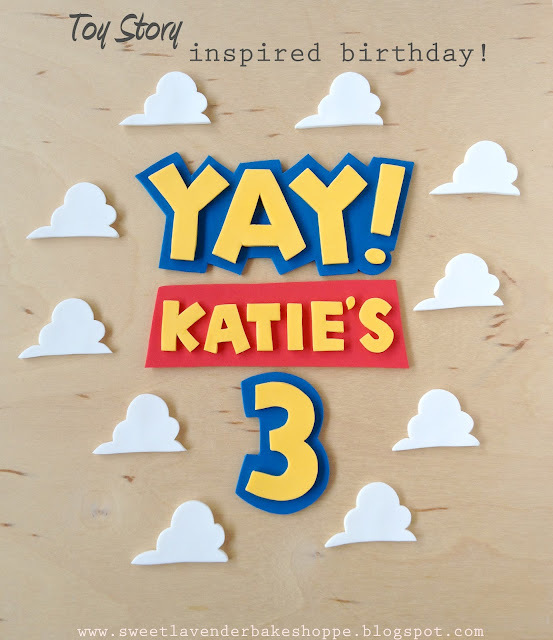 This looks like it would be the coolest birthday ever!